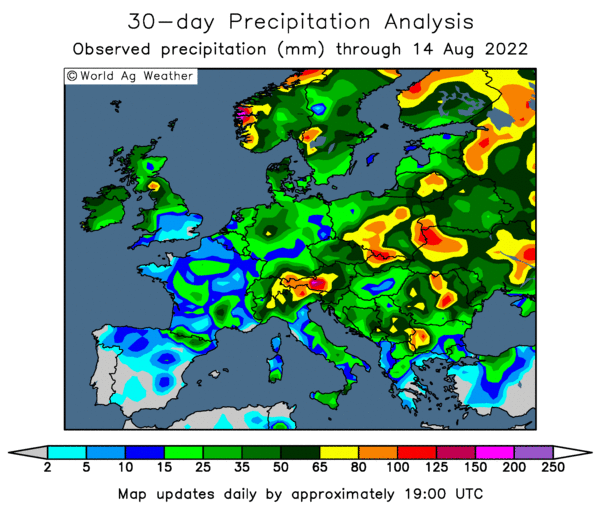 MD of Gleadell Agriculture, David Sheppard says with no major weather probems evident yet, there could be problems building for the coming harvest. 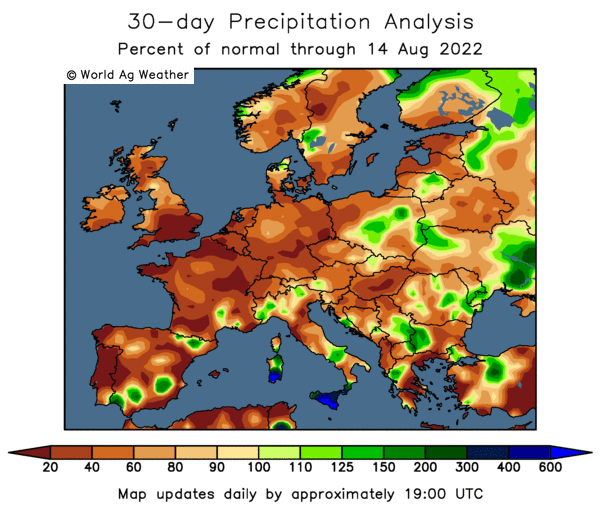 "Rain has arrived in Spain, just in time, although more is needed and EU/Eastern Europe/Black Sea regions all appear satisfactory with the only exception being Turkey, which is drought affected," he says. 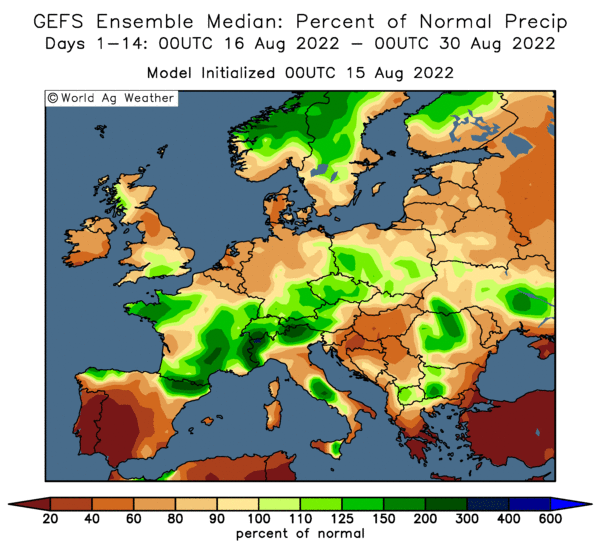 "There is still some way to go before the new harvest starts in earnest - but in the southern Mediterranean we are probably 50 days away from harvest starting, and a year ago the weather pattern was much drier." But Mr Sheppard says political interference/influence continue to be of more concern than the weather. "Argentina is still beset by difficulties with strikes and government export registration problems which makes execution of contracts extremely difficult, whilst export quotas and export taxes are varied almost daily in Russia and the Ukraine," he says. "There is no doubt that 'if' crops continue to develop well, these problems will ease and governments will be able to breathe slightly easier regarding food security and inflation." New crop prices, he says, continue to represent good value for farmers - and buyers are mostly absent. A mildly bearish USDA supply and demand report for oilseeds, which suggested higher than expected ending stocks has been largely eclipsed by the continuing logistical issues in South America caused by the fallout from the farmers' strike and the speculation of a sharp increase in US export demand replacing existing commitments from Argentina, says oilseeds trader Jonathan Lane. "There is currently around a £20 gap between old and new crop prices and at some stage these need to meet," he says. To save a lot of time & faffing about lets just assume that this particular headline applies to pretty much every day for the rest of the month OK? It saves me having to post it every day & making you more & more depressed. The pound dropped to a record low against the Euro Friday as problems continue to plague the UK mortgage sector. Nearly every major UK mortgage lender has either increased their interest rates on mortgages or withdrawn from the mortgage market completely. Despite the Bank of England’s 25bp rate cut yesterday, UK mortgage lenders have not relaxed. In fact, Abbey National, the last remaining lender to offer 100 percent mortgages has pulled their products off the market. The Bank of Ireland has also completely withdrawn their mortgage products for eight days while they reassess the value of their home loans. Existing lenders are expected to continue to hike borrowing costs, making it even more difficult for the UK housing market to recover. The new Commissioner for Public Health, Food Safety, Animal Health and Welfare, Androula Vassiliou, at a recent Parliament hearing, said that she was looking forward to make progress on topics such as novel foods, plant protection, and the simplification of the rules for the marketing of feed. MEP Lutz Goepel spoke about the difficulties faced by livestock farmers owing to rising feed prices, when "the EU is continuing to destroy animal protein and import a great deal of fodder". Vassiliou indicated that the Commission envisaged submitting later this year a proposal on the possibility of reintroducing pig protein into poultry feed and poultry protein into pig feed. Vassiliou, therefore, is in favour of considering a gradual reintroduction of meat and bone meal in feed. Breeders, who have been calling for such a measure for months, would therefore be allowed to feed poultry meal to pigs and vice versa. However, she stressed: "the aim is not to reverse the ban on inter-species cannibalism nor the ban on meat-and-bone meal for cattle". UK GMO free Hi-pro soyameal ex Humber traded at £320 yesterday to shipper buyer, now sees buying interest over in a couple of directions. Erith rapemeal fixings yo-yoing around this week with anywhere from £192 to £180 trading depending on the day & availability date. £185 traded yesterday for w/c 14th bookings. These prices are changing by the minute, so again please enquire for an up-to-the-minute quote. May wheatfeed pellets traded several times ex South East mills yesterday & today at £134, possible seller over, please enquire. In response to continued increases in feed ingredient cost, effective immediately Cagle's Inc. is reducing its chicken production by 4%. The reduction will affect the number of birds processed at the company's location in Pine Mountain Valley, Georgia (one of two slaughter plants Cagle's operates in the southeast supplying product throughout the United States and internationally). No layoffs are planned as a result of the decrease in production. According to Doug Cagle, President and CEO, "Current chicken prices have failed to reflect the tremendous increase in the cost of feed. Ingredient prices, mostly corn and soybean meal, have increased over 80 percent in the last two years raising the cost to produce chicken by more than $.17 a pound. These are unprecedented times and given current USDA forecasts it appears that high feed costs are here for the foreseeable future. The cutback in production will not affect our customers with existing commitments but will reduce product being sold through less profitable commodity outlets." According to local reports, Pilgrim's Pride may close its facilities in El Dorado, Arkansas, if it does not see improvement in quality and a return on its investment. The El Dorado site includes a poultry processing plant, a feed mill and a hatchery. The site employs over 1,600 people. "This is an extremely serious situation in El Dorado. We don't want to close that complex, but unless there are immediate changes that will be our only option," Pilgrim's Pride spokesman Ray Atkinson told the local press. The news comes only a month after Pilgrim's Pride announced it would close a processing plant in North Carolina as well as 6 of its 12 distribution centres “in response to the crisis facing the U.S. chicken industry from soaring feed-ingredient costs resulting from corn-based ethanol production”. The company also said it would review its other operations and would consider more closures. The assessment at El Dorado is part of that review, Atkinson said.Pilgrim's Pride acquired the El Dorado plant in 2003 from ConAgra. Also last month, Pilgrim's Pride announced the sale of its turkey production facility and distribution centre in New Oxford, Pennsylvania, to New Oxford Foods, LLC, a subsidiary of Hain Pure Protein Corp.
US-based Frontier Airlines is filing for bankruptcy. It's the fourth U.S. airline to file for Chapter 11 in recent weeks, along with ATA, Skybus and Aloha. But unlike the others, it plans to continue passenger service while it reorganizes. Earlier this week, it was named among the top 5 carriers in the Airline Quality Ratings, a study co-authored by a Wichita State University Professor. Like all airlines, Frontier is feeling the effects of sky-high fuel prices and turmoil in the financial markets. But the Denver-based carrier blames the bankruptcy decision on an unexpected move by its main credit-card processor to start withholding significant proceeds from ticket sales. Frontier's CEO says the Chapter 11 filing will prevent the processor from increasing its "holdback." Frontier announced last month that it was coping with higher fuel costs by selling four of its planes. Corn futures are expected to open 1 to 3 higher; soybeans steady to 7 lower; wheat 5 to 11 higher. Soybean prices are down while grain prices are up on firm demand. But the world is also facing more dramatic rain storm events such as the flooding which hit Britain last summer, scientists warn. Michel Jarraud, secretary-general of the World Meteorological Organisation, said temperatures in 2008 are likely to be cooler because of the effects of the La Nina in the central and eastern Pacific. He said it was likely that the La Nina phenomenon would continue into the summer. If his forecast is right it would mean temperatures have not risen globally since 1998 when El Nino warmed the world. 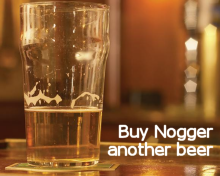 Nogger - I expect that the Polar ice caps will be pleased to hear this, has anyone got their phone number? Crude oil: Riding for a fall? Speculative money drove crude oil to hit an all-time high of $112.21 this week. In a situation not disimmilar to what we have witnessed in the grain markets, spec money is pouring into oil, completly ignoring the fundamentals. US usage has been lower than last year for ten consecutive weeks. A clear sign that the credit crisis and surging energy prices are curbing demand. "You look at the supply and demand fundamentals in the transportation fuel market, demand has been weak," said Victor Shum, senior principal at Purvin & Gertz Inc. in Singapore. "The fundamentals don't support the rally in oil pricing so some caution has returned to the market." "The demand situation is deteriorating all the time," said Rowan Menzies, head of research at Commodity Warrants Australia Ltd. in Sydney. "There is a disconnect between the price of oil right now and what the data is telling us in terms of demand slowing down." Federal Reserve officials anticipated the U.S. economy will shrink in the first half of the year and expressed some concern about "a prolonged and severe economic downturn" as they cut interest rates last month, according to minutes of the March 18 Federal Open Market Committee meeting, released April 8. U.S. implied fuel demand averaged 20.5 million barrels a day in the past four weeks, down 0.4 percent from a year earlier, the Energy Department said. "Everyone seems to be blithely ignoring the fundamentals of supply and demand at the moment," said Commodity Warrants' Menzies. The economic situation in the U.S. "should be having an impact on people's perceptions of what demand will do in the next three months." Brazilian ethanol producers are concerned about a potential new market opportunity being lost as the German government has taken a decision to put on hold its mandatory ethanol-gasoline mix program, according to the Valor Economic business daily. The German government has decided to postpone its plans to introduce a mandatory 10% ethanol mix in gasoline, starting in 2009. The government is reportedly concerned about existing automobiles that are not adaptable to ethanol and will have to instead fill up on more expensive premium gasoline, reported the Valor Economic. In a related development, the UK government has decided to do away with the credit line for its E85 gasoline program, possibly keeping another potential market away from Brazilian exporters. Brazilian ethanol producers reportedly exported a majority of their fuels to Europe in 2007. Increased exports have saved Brazilian sugarcane producers from going bankrupt as sugarcane prices fell below the cost of production on commodity exchanges, according to the Valor Economic. Brazilian ethanol exporters are pro-actively lobbying with common interest groups in the US, to help create a global market for ethanol. But with the German and UK governments' decision to go slow on the implementation of mandatory ethanol-gasoline mixing, the possibility of a global ethanol market seems far-fetched, reported the news source. Nogger - what future is there for an industry that can only survive IF "environmentally concious" governments continue to provide massive subsidies for it to exist? US plantings still at a standstill, is time running out for corn? A pre-planting telephone tour Thursday found Midlands farmers hoping for better weather. But no one's panicking yet. Of course, it's getting to be the time of year when farmers want to start getting some seed in the ground. But that probably won’t be happening over the next couple of days in the aftermath of a major spring storm. And that seemed to be the situation all across the Midlands. Starting west and going east, Brownfield checked in with Marty Reznicek, who farms around 4,000 acres of corn and soybeans with his brother near North Bend, Nebraska. He said they would have like to have started planting by early next week, but will be sidelined until the weather improves. "Well, it's wet right now and we were a little wet going into it," Reznicek said. "It's cold and we're just going to have to wait it out until conditions are right." Some have suggested higher corn prices in recent days could spur farmers to plant a few more corn acres. Others have noted planting delays sometimes motivate producers to switch from acres from corn to soybeans. But according to Reznicek, neither of those factors are inspiring his family to change their planting intentions. "No, we'll stick to the plan," said Reznicek. Meanwhile, Reid Jensen, the South Dakota Corn Utilization Council President who farms in southeast South Dakota about 35 miles north of Sioux City, said many in his area would like to be planting by April 25th. But he noted that may be difficult unless some warmer temperatures arrive. "I think the main thing is we need to start warming up - it's been so cold," Jensen said. "I was just talking to guy up on the South Dakota-North Dakota border and he still has frost in the ground, so it's just been a pretty cold spring." Jensen told Brownfield he did hear some talk of switching to corn after USDA's Prospective Plantings report came out on March 31st. But he added that potential planting delays could change that. And just a little northeast of Jensen, in Hawarden, Iowa, diversified ag producer Nate Ronsiek said he does indeed still have frost in his soil. Ronsiek explained he’d like to start planting by April 21st and the rains will help, though only if they’re followed by a warming trend. "We really need the rain to firm some things up, and they're talking 70s and 80s, possibly, next week," Ronsiek said. "If we make it through getting the rain and snow and everything, we'll get some guys that'll be pretty anxious to get out there if we get those temperatures." Ronsiek, a Golden Harvest seed dealer, said he has been approached by some farmers about switching some of their corn acres to beans, mainly because of the higher corn prices lately. And Ronsiek pointed out high quality corn hybrids and soybean varieties remain available, though he also said some popular corn and soybean seed numbers had sold out. Finally, all the way across Iowa in Farley, Matt Heitz, a grain farmer and pork producer, said the after-effects of a tough winter may make it difficult for producers in northeast Iowa by April 25th. That's the latest date, according to Heitz, that many in his area are comfortable with, at least when it comes to corn planting. "Well, I wouldn't say that it's out of the question, but it's looking tougher all the time," Heitz said. "One of the things that we see here is that we had so much snow drifted in some spots that you can be out in the field and it'll seem real good and then you go over the crest of the hill and you get a big, wet surprise." And Heitz, President of the Board of Directors for the Three Rivers FS Company, said he believes acreage switching will be driven by the weather going forward. And if it doesn't dry out, he suggested more soybean acres may be the result. "If we could get in and get the crop in the ground a lot of guys would probably go up a little more corn, perhaps," Heitz said. "And if it stays wet, I think they'll probably lean more towards beans." Middlesbrough, England-based D1 Oils is getting out of the biodiesel production game, blaming subsidized U.S. biodiesel imports for the move. The company plans to shut down its newly built biodiesel refineries in Middlesbrough and Bromborough, focusing its ongoing operations on plant science and planting. Elliott Mannis, CEO of D1 Oils, said, "2007 brought significant challenges for the biofuels industry, including rising feedstock prices, growing concerns on sustainability and imports of heavily subsidised U.S. biodiesel." "These challenges have reinforced the imperative at the heart of D1's business strategy: the need to develop low-cost supplies of alternative, sustainable raw materials for biofuels that are not subject to the same price pressures as food-grade cereals and oil seeds." In its preliminary results, the company reported a loss of £46.1 million for 2007, widened from a loss of £12.6 million the previous year. The company also announced a proposed placing to raise £14.9 million to support its new strategy. D1 Oils said it has an established plant science and planting program for jatropha, which produces an inedible oil feedstock for biodiesel and is able to make use of land not suitable for arable agriculture. The company said subsidized biodiesel began to enter the EU in volume in the form of a 99 percent soya biodiesel and a 1 percent mineral diesel blend around the middle of 2007. The so-called B99 is also known as "spash and dash" because of accusations that a significant amount of it is shipped to the U.S. just to add a small amount of ordinary diesel, taking advantage of government subsidies on any refining done in the States, and then shipped right back out. D1 Oils said that it is estimated that up to one million tonnes of B99 entered the EU during 2007. UK GMO free Hi-pro soyameal ex Humber traded at £320, shipper buyer, with buying interest over. May possibly also have a Liverpool seller. Please enquire as product is very limited, and prices volatile. There may also be odd loads of spot Liverpool 48% soya available on resale around the £305 mark. Erith rapemeal fixings available for this week & beyond. Prices depend on the date you require. Spot loads for this week have been trading around £190, with next week circa £185 and w/c 21st Apr £180. These prices are changing by the minute, so again please enquire for an up-to-the-minute quote. May wheatfeed pellets traded several times ex South East mills at £134, possible seller over, please enquire. This summary is based on reports from exporters for the period March 28-April 3, 2008. Wheat net sales of 454,200 metric tons were 70 percent above the previous week and two and one-tenth times the prior 4-week average. Net sales of 309,400 MT for delivery in 2008/09 were mainly for Egypt (120,000 MT), Mexico (73,600 MT) & Japan (73,000 MT). This gives total export sales of 763,600 MT vs expectations of 300-750,000 MT. Corn net sales of 473,900 metric tons--a marketing-year low--were 32 percent below the previous week and 34 percent under the prior 4-week average. The 2008-09 year saw sales of 9,600 tons. This gives total export sales of 483,500 MT vs expectations of 700-1,050,000 MT. Soybean net sales of 583,800 MT were three and one-fifth times the previous week and 87 percent above the prior 4-week average. Net sales of 60,000 MT for delivery in 2008/09 were for unknown destinations (50,000 MT) and Japan (10,000 MT). This gives total net sales of 643,800 MT vs expectations of 200-600,000 MT. The US National Weather Service has issued blizzard warnings for most counties in eastern South Dakota and some in Minnesota. A foot or more of blowing snow is forecast for Thursday night through Friday. Four to eight inches of snow are predicted for Minneapolis-St. Paul, according to local reports. Second Chicago futures calls are May corn steady up 5 to 7 cents, May soybeans up 25 to 35 cents, and May CBOT May wheat up 12 to 18 cents. France will produce 14.3 million metric tons of corn, up from 12.3 million tons last year, leaving end-of-season stockpiles at a "historically high levels" of 3.3 million tons, according to the Paris-based ONIGC. Brent crude oil hit a new all time high of $109.98/barrel in London this morning on follow-through trade from yesterday. The US Dept of Energy yesterday dropped it's US crude oil inventories for the week Apr 4 by 3.2m barrels compared to expectations of a rise of 2.5m barrels. Gasoline & distillates stocks also declined. Continued dollar weakness also underpins crude analysts said. NYMEX crude is steady at $111.60 a barrel, just below yesterday's fresh all-time high of $112.21 a barrel. Corn futures are expected to open 5 to 8 higher; soybeans 22 to 31 higher; wheat 7 to 16 higher. A combination of speculative and fundamental bullishness pushed prices higher in overnight trade and that seems to be carrying over into the opening call. Kopi Luwak beans are eaten, then passed, by the cat-like Asian palm civit, and sell for £324 a kilogram. Asian palm civits, which live in the foliage of plantations across south-east Asia, are said to pick the best and ripest coffee berries. Concerned as much by food price inflation as rocketing feed costs, the National Beef Association has called for pressure groups and EU governments to drop their opposition to GM cropping. It says "seismic shifts" in world demand for food, the growing danger of global food shortages, and the prospect of declining domestic animal production make it essential that farmers are allowed to use modern technology to grow more food crops on the increasingly limited area of agricultural land that is available. "Rapid food price inflation is already alarming government and consumers, and the production of both cereals and meat will reduce at the same time as shop prices reach toe curling levels unless GM aids become part of UK and EU farming's routine tool kit," said chairman Duff Burrell. 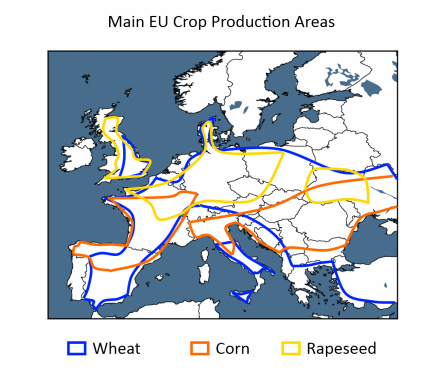 The NBA points out that just one GM crop, an insect resistant maize planted on just 110,000 hectares, is so far authorised for use within the EU, while a second crop, a blight resistant potato has still to complete its production trials. Meanwhile huge exporters like the US and Argentina have between them put almost 80 million hectares down to GM crops because they expect them to raise yields and they are now being followed by Brazil and Canada as well as India and China. "This means that as Europe becomes more reliant on food imports, its consumers will buy more products that contain an increasing proportion of GM ingredient and claims made by uninformed GM opponents that they are able to protect consumers from GM products have already become a joke," said Mr Burrell." "The European Commission must accept that opposition to GM technology lacks logic and agree that the GM import issue needs an urgent solution because a massive rise in EU and UK livestock feed prices, and a corresponding reduction in livestock population, can only be avoided by quickly clearing the backlog of GM importation approvals." GORDON Brown has been warned that the rising price of food could threaten economic stability and could lead to further rioting across the globe. The warning came at a summit of world leaders in Watford last week, which drew together some of the world’s most influential politicians including former US president Bill Clinton. Delegates warned Mr Brown that rising demand, supply shortages and the move into biofuels were a threat to economic and social stability. Many at the meeting blamed biofuels for the rise in prices and called for an intelligent debate on the future of energy supply. Mr Clinton told delegates that unless the issue of biofuels is reviewed, then the problems are only likely to get worse. He called for a ‘sophisticated’ discussion with world leaders, to find out which methods of production work, and how they can have minimal impact on food production. He said: “We need to sort out what kind of biofuels production works and what doesn’t. How can you do it without depleting the soil and without using too much water? How can we do it without taking land away from traditional food production? “What is really hurting the food market is America moving into corn-based ethanol, which has driven up the price of corn and driven up the price of wheat. Other world leaders joined the discussion, with the UN high commissioner for refugees António Guterres warning that food security was ‘the biggest problem today’ in democratic countries around the world. The World Bank last week delivered a stark warning over the rising price of food, saying that the price of staple foods has risen 80 per cent in the last three years. The rise in food prices has continued to spark riots around the world and this week at least four people were killed and 20 wounded in Haiti as people rampaged through the streets, looting shops and opening fire on UN peacekeepers. The proposed regulation does not contain provisions on feed containing or produced from genetically modified organisms, controls on the use of feed additives, or measures to control contaminants, which are and will remain the subject of separate EC measures. Well, what a carry-on. There doesn't really seem to be too much rhyme nor reason behind tonight's wildly fluctuating session. Wheat was the weakest leg on forecasts for rains in US plains and the realisation that ending stocks are getting bigger as is world production. Nearby wheat opened 5c higher but quickly plunged 30c lower before rallying on the back of soybeans strength to peak at 27c higher then falling back again to close unchanged! Beans were the leader with May opening 4c higher, then after a volatile first hour, rising steadily to close 61 1/2c firmer. Somewhat negative numbers from the USDA were shrugged off as the funds preferred to focus on news of further Argy unrest & talk of the farmers strike there resuming again before too long. Corn put in a relatively consistent performance May closing 13 3/4c higher having always been in positive territory throughout. The USDA numbers pegged stocks tighter than anticipated and the usual rhetoric of soggy fields in the Midwest delaying plantings was enough to send futures to fresh all-time highs. The USDA numbers look friendly for corn with US and world ending stocks lower than anticipated. Corn is being called 5-10c higher this afternoon. The wheat numbers were neutral with US ending stocks slightly lower than expected but world ending stocks higher. The early call for wheat is unchanged. The soybean numbers are "a little negative" with both US and world ending stocks higher than anticipated. The early call on beans is flat/lower. New York, NY - "Oil prices rebounded on Wednesday, edging closer to $109, as concerns over a decline in gasoline stocks ahead of the U.S. driving season helped keep the market on the boil." I just saw this on the Reuters news wire out of Singapore. It proves two things. First, the reporter knows nothing about the oil industry and is easy prey for commodity firms seeking to hype oil higher, or, the reporter just doesn't care. Secondly, it proves there is a complete disconnection of reality from the world of hype that continues to drive all commodities higher. Anyone who knows anything about the U.S. gasoline market knows full well there will be a draw on gasoline stocks when the EIA releases its report later this morning. It could be as high as 7 million barrels. Should that propel gasoline and crude oil higher? No it shouldn't. Refiners are consciously trying to reduce the glut of winter grade gasoline in the system this year due to efforts by consumers to limit gasoline consumption. The EIA yesterday stated that for the first time in 17 years, the U.S. will consume less gasoline this summer in year-over-year comparisons. In fact we believe the drop in gasoline demand will be greater than the EIA is estimating, but the EIA can always revise that figure later, as it often does. Everything from soybeans to heating oil are hyped daily, depending on where a specific company chooses to place its bets. So far the overnight oil markets are not buying into this specific hype, yet we won't know for sure until the market opens in New York. If the EIA reports a 5 million barrel draw in gasoline supplies, the markets will soar, despite pre-EIA expectations that have anticipated and supposedly factored in a large drawdown. It's called the "set-up." The commission houses are quick to alert the news wires to the fact that "gasoline is tightening," which of course could not be further from the reality on the ground. So when the EIA announces a draw later this morning, the market will be poised to rally further. Crude oil could be worth $3.00 per barrel more later today, and gasoline could be 10 cents per gallon higher before the smoke clears. And the U.S. economy takes another battering as the commodity firms continue to make fortunes at the expense of consumers worldwide. I never thought I would say this but it is bordering on criminal activity and mainstream reporters are unwittingly the co-conspirators. There were no significant changes to the USDA's world crop production tables for wheat, corn or soybeans. Brazil's 2008 bean & corn production numbers were unchanged at 61.0mmt and 53.0mmt respectively. Argy 2008 bean & corn production was also left unchanged at 47.0mmt and 21.5mmt respectively. Agriculture Minister Alexey Gordeyev says Russia planned to harvest 85 million metric tons of grain this year, 3 million tons more than in 2007. Gordeyev said 300,000 hectares of land that was not used for growing grain would be reclaimed this year, and that this together with the use of new technology and mineral fertilizers would help increase the grain harvest. This will enable it to export 15 million tons of grain in the 2008-2009 marketing year, he said. Gordeyev also said Russia would increase its grain planted area by 3.5 million hectares in the next two years, which would enable it to export 25-30 million tons of grain a year. He said the state agriculture development program provided for a rise in grain harvests to 100 million tons within the next five years. A foliage sculpture of Beatle Ringo Starr in the band's home city has been beheaded by vandals. The topiary feature, which took 18 months to cultivate into the fab four, was unveiled at the city south Parkways Transport Exchange last month. Starr's head was chopped off, but the rest of the Beatles were untouched. The 67-year-old outraged some Liverpool residents when, after opening the European Capital of Culture events, he said he missed nothing about the city. The Brazilian Agriculture ministry, Conab, has said that the country will harvest a very specific 59.99mmt of soybeans in 2008, up from it's March estimate of 59.6mmt, and 58.4mmt in 2007. The corn crop will come in at 56.2mmt, almost a million tons up on it's March estimate of 55.3mmt, and 4.8mmt up on 2007's 51.4mmt. Yields were boosted by above-average rainfall in the months before the harvest in the Centre-West, which accounts for half of Brazil's soybean output, they said. Interestingly Conab's estimates are quite different from last month's USDA numbers. In March the USDA said Brazil would harvest 61mmt of soybeans and 53mmt of corn. The USDA will issue it's revised April estimates later today. Pound pummelled - UK housing market to mirror US? After a surprisingly sharp drop in housing prices from the HBOS indicator, GBPUSD proceeded to drop 250 points through the course of the day, slipping below major support seen around 1.9750 in the process. According to the data, housing inflation tumbled 2.5 percent through March, the sharpest monthly contraction since the UK’s last recession in 1992. What’s more, the 1.0 percent drop in prices through the first quarter from the same period a year before marks the worst pace the indicator in 12 years. This is a fully loaded piece of data. For the market, this data boosts speculation of a rate cut from the Bank of England on Thursday - with a number of traders entertaining the possibility that the MPC will cut by 50 basis points (though we see this as a very low likelihood). For the long-term, fundamental outlook, this data adds another facet to the concern that the UK housing market is looking a lot like its US counterpart a few years back. Looking ahead to the next 24 hours, we will monitor the Nationwide Consumer Confidence and industrial production numbers to see whether the data can add to rate speculation and maintain the pound’s recent volatility. Pakistan, Asia's third biggest wheat producer after India & China, will produce around 2m tonnes less of the crop in 2008 according to it's farm ministry. The country's output will fall to around 22mmt from 24mmt in 2007 as spiraling fertiliser costs prompted farmers there to reduce plantings they said. Fertiliser usage halved to 600,000mt after prices jumped 44% in a year said the government. Farmers in Pakistan sow the crop in November and December and harvest it from April to June. The country is the world's sixth-largest wheat producer. Smugglers have worsened the supply situation, sneaking wheat into neighbouring Afghanistan where they can sell the grain for about twice what they can get in Pakistan, officials said. Crikey! If the current downturn isn't severe, exactly how severe can things get? Chicago Board of Trade soybean futures finished a choppy, two-sided session lower Tuesday, as the market continued to consolidate ahead of Wednesday's supply and demand reports. May soybeans settled 3 1/2 cents lower at $12.51 1/2; July soybeans finished 3 3/4 cents lower at $12.68 3/4; and November soybeans ended 9 1/2 cents lower at $12.05 1/2. May soymeal settled $0.20 lower at $329.80 per short ton. May soyoil finished 13 points lower at 55.84 cents per pound. The market experienced choppy trade, unable to sustain lasting direction, as traders were reluctant to take on added risk amid the uncertainties surrounding potential revisions to the soybean balance sheet following last week's quarterly stocks report, analysts said. For the record Septic Peg, my mystic guide, called soybean futures pretty much spot on at 7-10c lower. U.S. corn futures were steady to firmer Tuesday, supported by traders positioning ahead of the U.S. Agriculture Department's April supply/demand report and as prices consolidated after recent declines, analysts said. Nearby May corn on the Chicago Board of Trade gained 1 1/4 cents to settle at$5.91 1/4, and new-crop December was unchanged at $6.03 1/2 a bushel. "We had kind of a consolidation day and a little bit of a 'turnaround Tuesday' type of atmosphere after the breakdown yesterday," said Jack Scoville, analyst and vice president at Price Futures Group in Chicago, referring to the markets' tendency to reverse direction from Monday. Traders are also preparing for the supply/demand report, which is expected to confirm ideas of strong demand and shrinking supplies. Septic Peg was not so accurate with her forecast on corn citing the market to end on a slightly weaker note. U.S. wheat futures closed mostly higher Tuesday in a rebound from a sharp sell-off and with traders looking ahead to a U.S. Department of Agriculture crop report, analysts said. Chicago Board of Trade May wheat closed up 12 3/4 cents at $9.34 per bushel. Kansas City Board of Trade May wheat jumped 7 3/4 cents to $9.87, and Minneapolis Grain Exchange May wheat sank 35 cents to $13.15. CBOT wheat bounced in a "Turnaround Tuesday" scenario after falling hard Monday, a trader said. There was sentiment that Monday's losses were overdone, he said. There also was positioning ahead of the USDA's April supply-and-demand report, due at 8:30 a.m. EDT Wednesday, said Alan Brugler, president of Brugler Marketing & Management. Septic Peg's call on this one was well below par (5c easier) and I will be having a stern word with her as Pocahontas & Gernonimo reckon they can fill the post better should the Septic one fail to cut the mustard. TWO of the world’s largest agricultural super-powers have recorded impressive profits and are confident of continued growth. Agro-chemical company Syngenta said first quarter sales have gained 20 per cent and predicted full year profit to increase thanks to increased demand for food and biofuels. Syngenta reported a growth in profit for a fifth consecutive year. Meanwhile, Syngenta’s great US rival, Monsanto said it hopes to double gross potential profit by 2012 on the back of solid yearly profits. Monsanto reported record net sales of nearly £2 billion for the first quarter – an increase of 45 per cent on the previous year. Demand from the ethanol industry, the food industry and a weak dollar have pulled together to push up the price of corn, which has impacted positively on profits, said Mr Grant. A highly interesting article written by ex Chancellor Nigel Lawson, father of my favourite broad-in-the-beam domestic Goddess, which calls the current drive towards "green-ness" a Da Vinci Code of environmentalism. The rates at which banks lend to each other in the United Kingdom eased slightly after the Bank of England took measures to ease liquidity pressures. The key three-month rate dropped further below the 6.00 percent threshold, declining to 5.93 percent from 5.95 percent yesterday, suggesting banks are slightly more willing to lend to each other as worries over the credit-worthiness of counter-parties improve. The overnight contract, generally the most closely aligned to the Bank of England's 5.25 percent benchmark rate, decreased to 5.21 percent from 5.25 percent. The Bank of England earlier today said it increased the amount of three-month money it will auction in April to 15 billion pounds from the 10 billion pounds it previously offered. Although the quality of collateral the Bank of England will accept will remain unchanged from previous auctions, the increased sum is likely to ease liquidity pressures in the financial sector. Availability issues and technical nearby tightness continue to dominate. Whilst the weather remains cold & wet spot demand is holding up well, but consumers are concious that turn-out isn't likely to be very far away. In addition many compounders will be hitting their customers with hefty price increases on 1st May, as they come to the end of their cheap winter purchases & start passing on the cost of reality and replacement. Consequently many are not expecting to be too rushed off their feet once we get into May and are generally content to sit back & see how things develop. Of course the shippers for their part, with only scant sales on for May onwards, are unlikely to have stores groaning at the seams with product looking for a home, so it looks like a bit of a cat & mouse game developing, with front-end tightness (& premiums) a likely feature. Spot rapemeal remains difficult in the north with £200 and £201 reported done to shipper buyers ex Humber. Erith is a different kettle of fish with fixings for this week offered at £190 and w/c 21st at £182, looking for buyers. Corn futures are expected to open steady to 1 3/4 higher; soybeans 2 to 5 higher; wheat mixed. It was another fairly slow trading session on the overnight market but mostly on the plus side. Traders are looking for direction but may not get much ahead of tomorrow's USDA stocks data. Septic Peg, my spirit guide from beyond the grave, who did reasonably well with her forecasts Friday, including a respectable third in the Grand National (available at 28/1 at the time), tells me that she sees the market drifting lower as the session wears on. Traders will be keen to lighten the load a little ahead of tomorrows report, she says. Peg is predicting beans ending the day 7-10c lower, corn 3-5c lower and wheat 5c easier. Egyptian families are having to get up at dawn each day to queue up for bread rations, as the country struggles to cope with grain shortages that threaten a major political crisis. "I've been here since six this morning, it is now nine o'clock and still no bread," Asma Rushdi shouts in front of a tiny state-owned bakery in the overcrowded and impoverished area of Bulaq Dakrur in Cairo. She is only allowed to spend one Egyptian pound (9p), which will get her 20 pieces of the subsidised flat round bread baladi - the staple of the Egyptian diet. For Asma, who has to feed her family, including four children and two in-laws, from her husband's monthly salary of £200, "bread is everything". Egypt is in the grip of a serious bread crisis brought on by a combination of the rising cost of wheat on world markets and sky-rocketing inflation. The price of bread has increased fivefold in private bakeries, creating panic in state-run bakeries that the staple may run out. Scuffles in bread queues are a daily occurrence. In recent weeks, they have turned into violent clashes, leaving at least seven people dead, according to police. Police clashed with protesters in the Nile Delta city of Mahalla on Sunday, firing tear gas and arresting dozens after angry residents demanding an end to price hikes and soaring inflation set two schools ablaze and burnt tyres along the city's railway. Egypt is the world's biggest consumer of bread, with each Egyptian eating 400 grams of bread a day. That compares with France - the land of the baguette - where the figure is only 130g per day. The shortages have forced bakers and consumers on to the black market. According to the state-owned daily Al-Ahram, 12,000 people have been detained in raids across the country in recent days and they are all to face justice over selling flour on the black market. A 100 kilogram sack of subsidised flour is worth about $3.14. The same sack costs $377 on the black market. Wheat more profitable than heroin! Good news at last from the front line in the war on terror, where I am spending a few days as the guest of British forces responsible for security in Helmand province. I've just come from a meeting with the newly appointed Afghan governor Gulab Mangal where it emerged that for the first time since British forces deployed to the region two years ago local farmers are not concentrating all their energies on producing heroin. Poppy eradication was flagged up as one of the main British priorities when former defence secretary John Reid first announced Britain's deployment two years ago. But this part of the mission has not exactly been a glorious success. Last year poppy production actually increased. But now it seems the message is finally getting through. In parts of Helmand Afghan farmers are this year sowing wheat instead of poppy - not because they have suddenly been converted to the argument that producing heroin is not in the national interest. Market forces have been the deciding factor - with wheat prices doubling in the past year, and the street price of heroin falling, it is now more cost effective to grow wheat. At last there are signs of progress being made amidst Afghanistan’s battle-scarred landscape. It was barely 18 months ago that the British biofuels industry was surfing on a wave of euphoria. There were almost weekly announcements from companies big and small that they were going to invest heavily in a sector that promised to play an important role in the battle against global warming. On April 15, the sector is to be given an even bigger boost when the government introduces its Renewable Transport Fuels Obligation (RTFO) that requires the station forecourt to supply at least 2.5% a first, later 5%, of its petrol and diesel from plant-based materials at a time when oil prices have soared. But instead of widespread glee, the domestic green fuels sector is in gloom, amid a flood of cheap imports from America. Subsidised US biofuels are threatening to wipe out UK capacity. Meanwhile, opposition grows from environmentalists and independent scientists who fear that biofuels could make climate change worse, not better. House prices fell by 2.5% in March, the biggest monthly decline since September 1992, the Halifax has said.The latest monthly figure from the UK's largest mortgage lender was significantly worse than many experts had expected. House prices are now just 1.1% higher than they were a year ago, the slowest annual growth rate for 12 years.The Halifax has also revised its predictions and now expects prices to fall over the course of this year. The Nationwide took a similar stance earlier this month after reporting that prices had fallen for five months in a row. Although Halifax, the nation’s largest mortgage lender has yet to reject new mortgage applications, they have started to preference customers willing to put down a larger deposit on home loans. More specifically, they are offering a lower interest rate to people who can make a down payment of 25% or more on their home and hiking the rates for people who borrow more than 75%. This will reduce the ability of UK citizens to finance the purchase of new homes, which would exacerbate the problems in the housing market and slow any eventual recovery. Meanwhile the Bank of England is the only central bank expected to alter interest rates this week. If consumer confidence also proves to be weak, this will build the case for a 25bp rate cut to 5% Thursday. At 9.30am the pound stood around 1 1/4 cents lower at $1.9762. New South Wales Sorghum Crop "Best For Many Years"
Production from sorghum crop being harvested in Australia's New South Wales to reach 796,000 metric tons, up from 426,000 tons in 2007, according to a Grains Report issued late yesterday by NSW Department of Primary Industries. Many areas experiencing best crops for many years. Whilst a crop of this size may seem relatively unimportant to some, this year's sorghum crop is being closely watched by many as a barometer for the potential for the 2008 Australian wheat crop which could reach a record 27mmt according to many analysts. With a domestic requirement of just 7mmt Australia are traditionally the world's second largest wheat exporter after the US. The big sorghum crop comes in nick of time after droughts in 2006, 2007 resulted in a sharp contraction of national feedgrain stocks. The USDA released their first wheat crop condition/progress of the current season Monday night after the close of Chicago and pegged the crop at 7% very poor (3% in 2007); 14% poor (7%); 34% fair (26%); 37% good (45%) and 8% excellent (19%). That gives us 45% of the U.S. winter wheat crop in good to excellent condition as at April 6th. That's up from last week's unofficial estimate but far below the 64% good to excellent rating a year ago, 34% of the current crop is in fair shape and 21% is called poor to very poor. A typically quiet Monday morning start, with little fresh business to report so far. Nearby rapemeal continues steady with up to £194 reported traded late Friday for Erith fixings, seller over at the price this am. Meanwhile for new crop the last reported trade was £158 for Aug/Oct. Underlying shipper interest in spot material on the Humber pushed trades as high as £207 last week, as availability problems persist in Liverpool. Spot Liverpool gluten feed reported traded £167 late Friday, spot 48% soya Liverpool done at £300, and spot 44% offered £295. Whilst nearby wheatfeed pellets remain tight there are a few sellers around further forward with South East locations generally available at £134 May/Sep and £137 Oct/Apr. Carr's, the agriculture, food and engineering group, has announced it's results for the 26 weeks to 1 March 2008 which are substantially ahead of the comparable period of the 26 weeks to 3 March 2007 and appreciably ahead of budget. • Agriculture increased its operating profit by 56.9% to £4.02m on revenue up 45.1% at £118.82m and also reported a post-tax profit in associate and JVs up 46.5% at £0.98m. All four of Agriculture's related activities - animal feed manufacture, fertiliser blending, agricultural retailing and oil distribution - performed well. • Food increased its operating profit by 21.0% to £1.11m on revenue up 57.9% to £39.68m. The improved result reflected two flour price increases and a cost reduction programme. The underlying trends in profitability for Food are encouraging. • Engineering's operating profit was down 16.0% at £0.49m on revenue down 14.7% at £3.30m. The Board is confident of a satisfactory full-year outcome for Engineering. Richard Inglewood, Chairman, stated "Our positioning in speciality products, particularly in the Agricultural market, is driving increases in both margins and sales, whilst food price inflation is enabling us to recapture much of the lost margin in our Food business. These factors combine to give us a high degree of confidence in the full year". Richard Inglewood continued, "Improved farm incomes are benefiting our business. We are selling more products at better margins in the UK and seeing encouraging trends in our overseas Agricultural markets. The Agriculture division will continue to drive the performance of the Group. A more stable backdrop in Food will further enhance profitability. The trends are positive for the second half of this year and beyond". Corn futures are expected to open 2 to 5 higher; soybeans 6 to 13 3/4 higher; wheat 1/2 higher to 9 lower. Overnight trading action was slow but prices were firm for corn and soybeans. Some pressure was seen on new-crop wheat futures. There is a strong historical seasonal trend for corn to put in it's highs in early April. See link to charts below. Chicago prices were pushed to fresh all-time highs last week after the USDA planting intentions report pegged corn acres around 3m lower than the trade was expecting. It is worth remembering that this survey was conducted on March 1st, and the price ratio of soybeans:corn has fallen from a "normal" 2.5:1 then, to an abnormal 2:1 now, indeed it's been down to 1.9:1 during this last week. This ratio strongly favours corn planting over soybeans. Modern planting methods mean that as soon as a (dry) window of opportunity appears US farmers will be well equipped to get planting fast. Typically, wet weather in early April, while concerning to those who are not planting, does not necessarily affect crop size. History, especially the last decade, has suggested that rain delays, while a concern when occurring, melt away rather quickly once farmers have an opportunity to aggressively plant. It is also worth remembering that in recent years the USDA have increased corn planted acres by 1.5m between it's March & it's June report. All this points to actual planted corn cres this year being substantially more than the figure that is currently in the market. How soon the market knows it will determine price action from here on in. And we thought our markets were bad. I was gonna have an Uncle Bens Vegetable Pilau for lunch, but on second thoughts, I think I'll hang onto it.